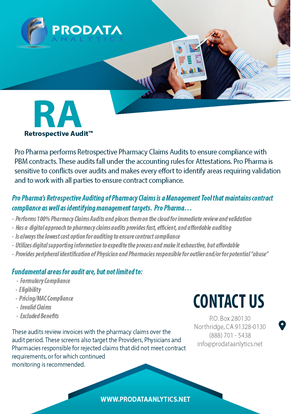 Audit of Claims for Validity, Pricing, AWP, etc. 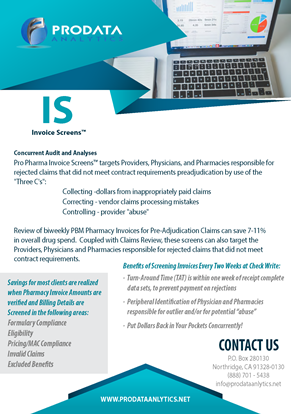 Analyses and audits of pharmacy invoices to identify, prioritize and manage problems with claim adjudication. 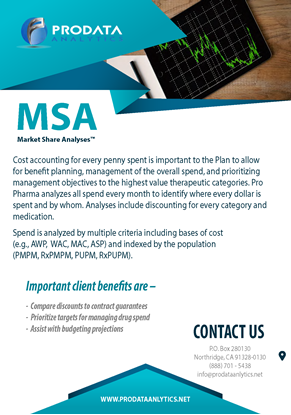 Cost accounting for every dollar spent on pharmacy including actual spend, number of patients and Rx, and an exhaustive list of metrics for budgeting. 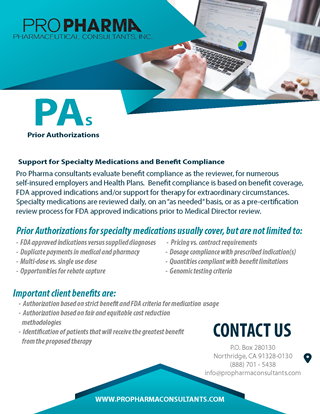 Specialty Pharmacy and Medical benefit Medication Prior Authorization (PA) criteria that is fully automated, digital, web-based, and includes effectiveness (ICD10), risk (FDA Alerts), utilization, genomic testing, step-therapy, cost, and options for care. 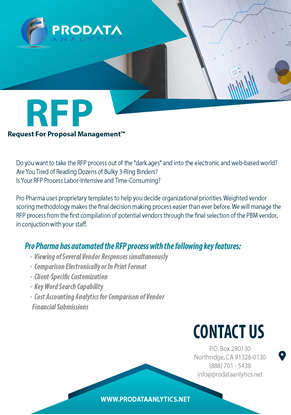 Fully automated, digital, customizable, searchable, document linked, web-based program to allow for rapid and efficient evaluation of vendor proposals. 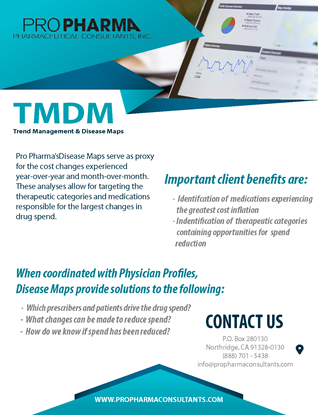 Exhaustive, digital and fully automated Auditing/Analyses of pharmacy claims experience to use for audit requirements and management prioritizing for corrective actions.